The application can open and view multiple of DMG file of Mac OS on Windows system by adding one file at once. It provides a preview of all data items stored in the DMG file without any limitation. Preview emails stored in DMG file along with its details like size, name, etc. Search for a specific file using date-based parameters like created, modified, etc. The DMG file reader is compatible with Microsoft Windows 10 and below versions. 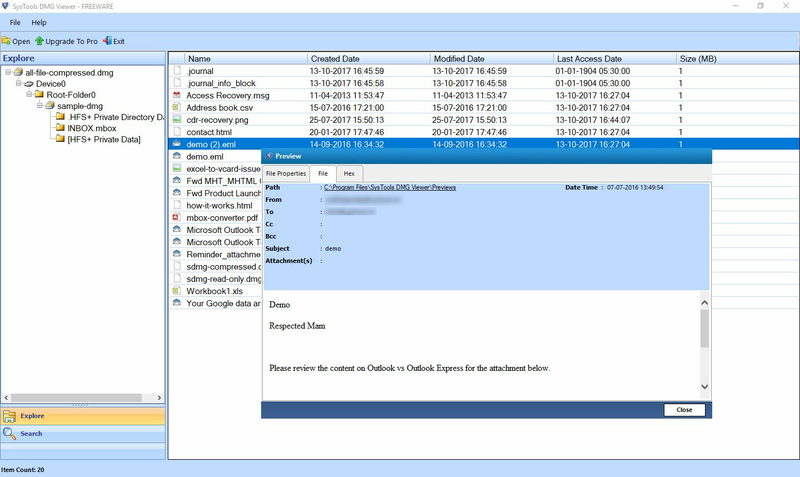 The free version of the DMG File Viewer does not provide the user an option to export selective emails in their native formats. With the help of DMG Reader tool, a user can open and view DMG file data on Windows Operating System. This software is capable to open DMG file of 2 type i.e. Read-Only & Compressed Type. In addition, one can easily read all popular email files on Mac machine, including EML. And, images can also be viewed via this DMG Viewer application. If a user wants to open and preview multiple DMG files at once, then one can do this by adding one file after another. After adding one file, a user can add multiple DMG files one by one just by selecting an Open option from the tool interface. 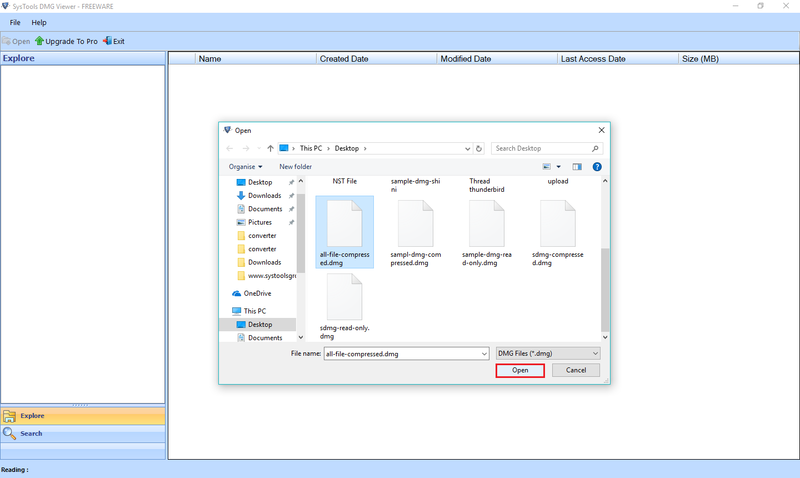 In order to preview selective data, the DMG file viewer provides date-based filters option. Using this feature, one can filter out emails based on the date on which they are Created Date, Modified, or Last Accessed or Text. In addition, a user can specify the date range also using the "From" and "To" fields in the software. Can I view attachment also associated with EML file stored in the DMG file? Yes, you can easily open and view EML file along with associated attachments. You just need to double-click on the attachment to preview it in the software panel. 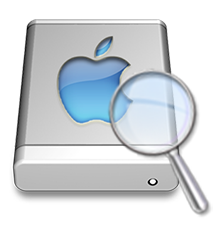 Does the software require any extra installation to open and view data stored in DMG file of Mac OS? No, the DMG Opener does not require any extra installation to open and read all data stored in it. Can I install and run DMG Reader application on the Microsoft Windows 10 OS? Yes, you can install and run this tool on any version of Microsoft Windows, including Windows 10 OS. "Thanks to this amazing DMG Viewer software for helping me in such a great way. I was looking for a utility from a long time to open DMG file on Windows OS. After using this tool, I can easily say that it is a simple tool with user-friendly interface. I did not find any difficulty while using this application. Hats Off development team!!" 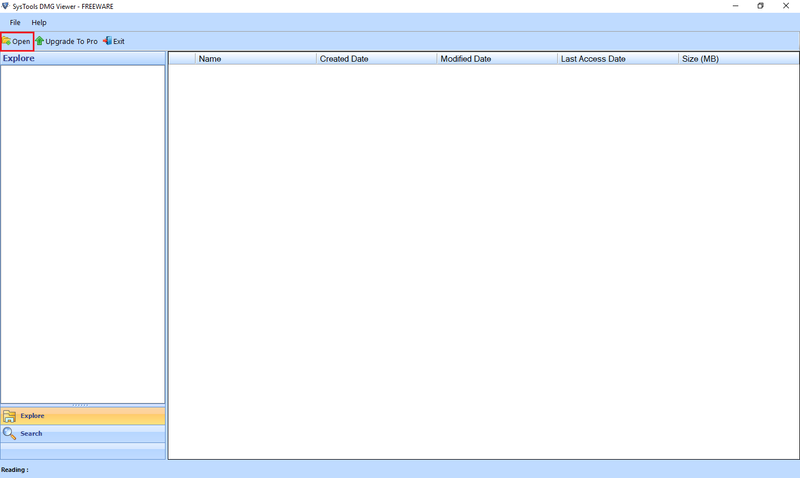 "Simple and easy application to read DMG file data on Windows machine. I never thought that analyzing and viewing DMG file would be so easy. Thanks to the development team for developing such a superb application. I liked this application so much that I am definitely going to suggest this tool to my friends also."